The Tip Top II was built in 2008 and redesigned in 2015-2016 to offer the highest level of comfort and the best experience in the islands as passengers discover the Galapagos marine life while snorkeling, panga riding or kayaking. Passengers can also read books about the Galapagos Islands aboard, as well as view selected movies and have fun with games. 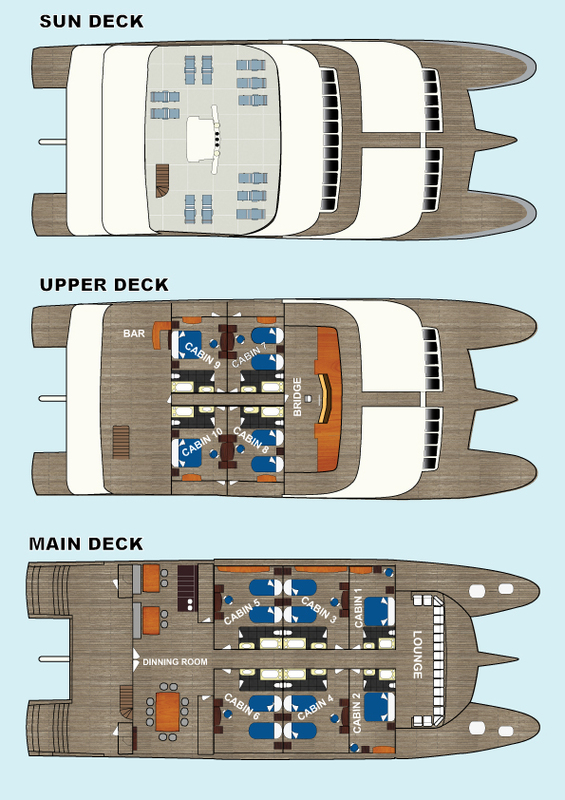 Each cabin has a private bathroom, complete with a toilet, shower, washbasin and vanity. It also has a locker, drawers, hair dryer, and a safety box. It is also air conditioned.